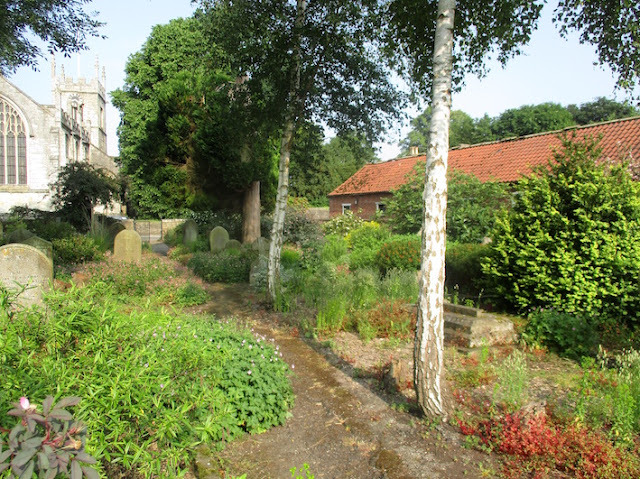 This is written as an appendix to yesterday's article about weed control in Bolton Percy churchyard garden. It addresses the problem of how one can spray speedily and precisely in delicate plant situations. My methods are not widely reported or well understood. If you have already attended an official sprayer training day course you might want to sit down and cry. 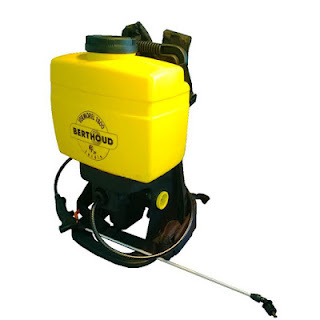 Although you can work wonders with a very cheap hand sprayer any serious gardener needs a proper knapsack sprayer. Not an amateur toy but a proper professional product such as a Berthoud or a Cooper Peglar at perhaps £150. This is as nothing to the kind of silly money gardeners spend on mowers and other machinery. Such a sprayer will last you forever and is far superior to any alternative. False economy is very unwise. If a fifteen litre sprayer is too heavy for you you don’t have to completely fill it and I rarely do now! One fill will spray a very large area, quite easily 1000 sq. metres and professional product goes a very long way. I usually spray the whole of the Bolton Percy acre in two hours with a single fill at a cost little more than two pounds. Unlike the usual recommendation I always use a cone nozzle. It is far more accurate when you are constantly adjusting height, direction and pressure. If your idea of spraying is to hold the lance rigid, walk in straight lines pumping energetically look away now. This is completely inappropriate for spraying amongst existing plantings. 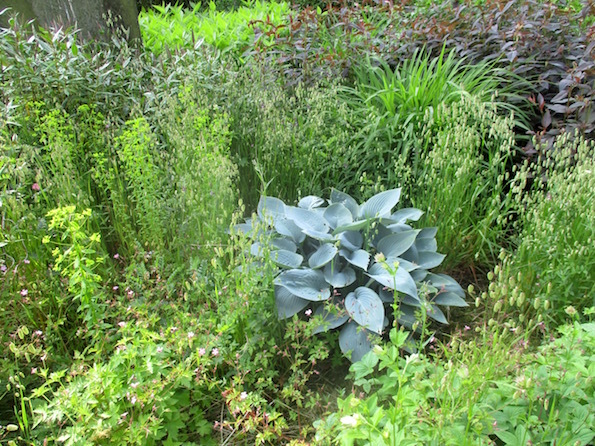 The name of the game is to spray all the weeds, not weed-free soil and never your plants (well there are exceptions and well established clumps and especially woody plants are much more resistant than you think if their leaves only get a light touch of spray). I might in the past in my zeal to discourage too much pumping and describing the use of the sprayer as a squirter I might have given the impression that I do not get the advantages of the excellent cover of fine spray. I do you a disservice when I tell you that my spray might diminish to gravity flow. More often, I maintain the pressure of several pumps on the handle. I find it almost impossible to interpret for you what is now instinctive for me. Suffice to say that my spray head pressure and height is constantly varied to plant and weed distribution as is the angle of the spray nozzle albeit normally down. 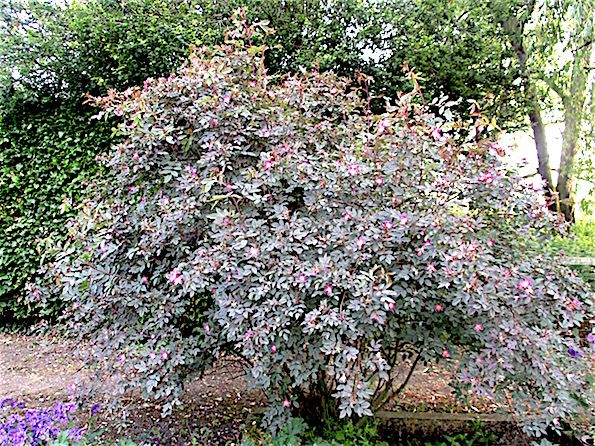 Near plants or under low shrub or hedge canopies my spray head almost touches the ground. More usually the cone nozzle angles away from the plants. My spray head is in constant motion in all plains although mainly horizontal. 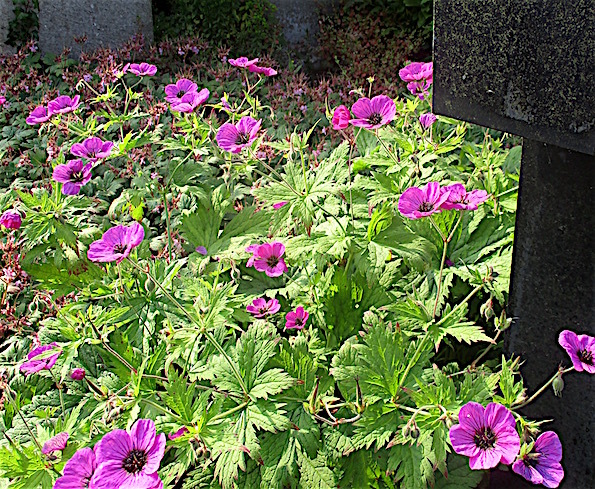 With zig zag movement I weave patterns in more open spaces between the plants and over the weeds. In a sense I follow the weeds. Sometimes I hover little longer over 'difficult' weeds. If I cutback on myself and some weeds get sprayed twice all the better. I can remember and usually see the wet leaves I have already sprayed. In really complex situations I quickly go over the site a few days later to find the weeds that I have missed. 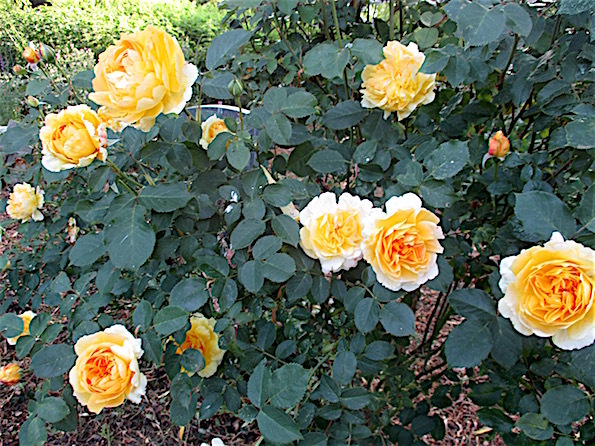 With a little practice the job is and easy and is safe to yourself and your plants. A beginner should get used to his sprayer using pure water! 360gm/litre glyphosate comes in various guises. Diluted at 1 in 50 in practice they are all the same. Some people think their local climate is too wet or windy to justify the expense of a sprayer. They are usually wrong. Although my most delicate work will be on a still early morning where there is not a breath of air movement this is not the norm. In my very next post (sorry, Roundup again), I describe successful spraying of an overgrown new allotment in a nine mph wind. I do not recommend any stronger! When spraying relatively small weeds as described yesterday you do not need the regulation rainless six hours for success. An hour or so is usually enough. Actually very light rain might even enhance take up. Don’t start spraying if immediate rain threatens but otherwise carry on. My friend Peter Williams commented yesterday that he hardly ever gets caught out by going ahead. 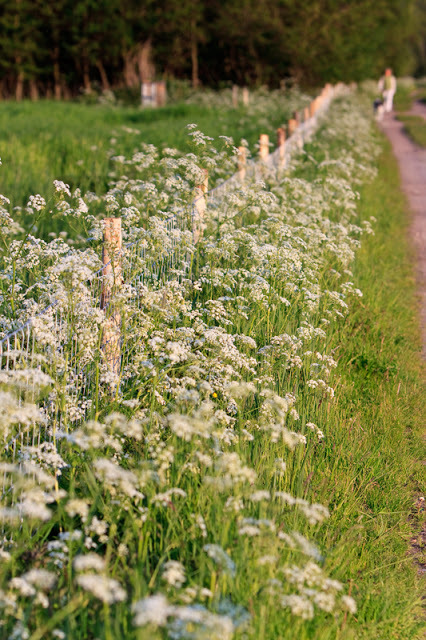 Where you really need the full six hours - or better a couple of dry days and dewy nights, is where you are spraying well established perennial weeds such as ground elder or mares tail. Actually it rained heavily two hours after I sprayed the afore mentioned allotment but my pictures show you the formerly rampant couch grass is totally dead. Another circumstances where you might want sprayed leaves to stay un-rained on for longer is in Winter. I describe in this post how in a wet Winter or Autumn, glyphosate spraying of still green weeds is the best selective weed control method of all. 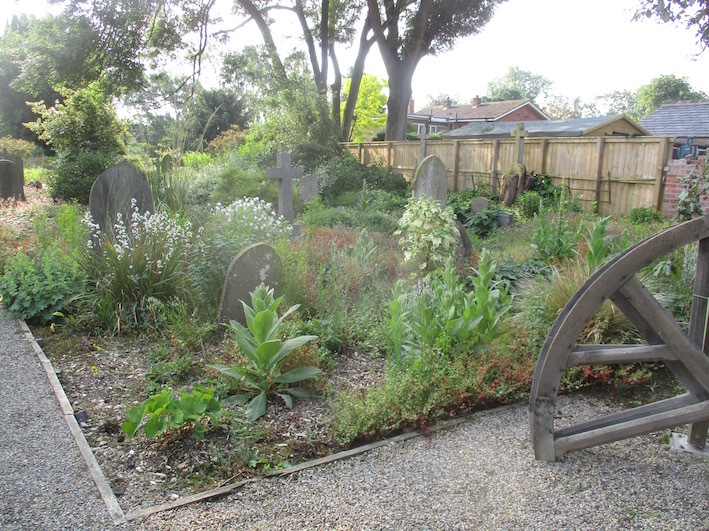 Village volunteers have transformed Bolton Percy cemetery. 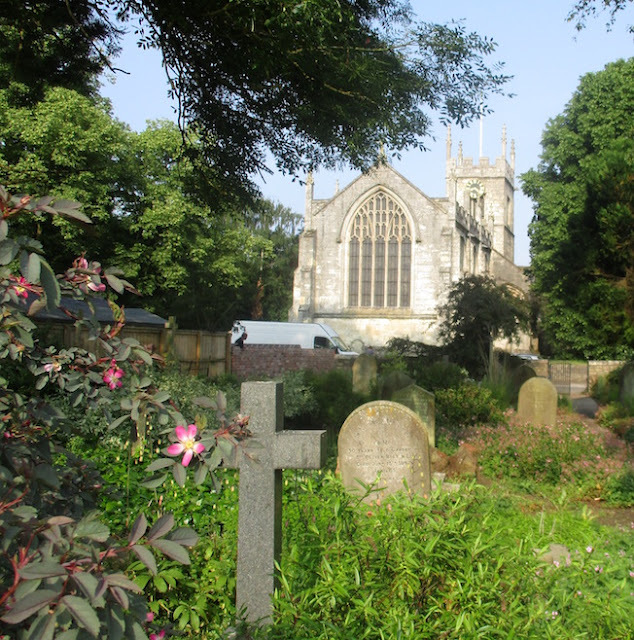 Only yesterday Brenda’s lovely hairdresser, Ros, reported that out of the blue two York friends had told her that it was their favourite garden and they made frequent visits. It really looks lovely, is always open and if you live locally you really should go. I was beginning to think myself an embarrassment and now was the time to quietly step back from my duties. Team leader Jackie Giles was horrified and refused to accept my resignation and persuaded me to continue with a reduced input of four working visits per year to spray and advise. Eight weeks later I received an urgent e-mail. The bottom of the cemetery had got out of hand. 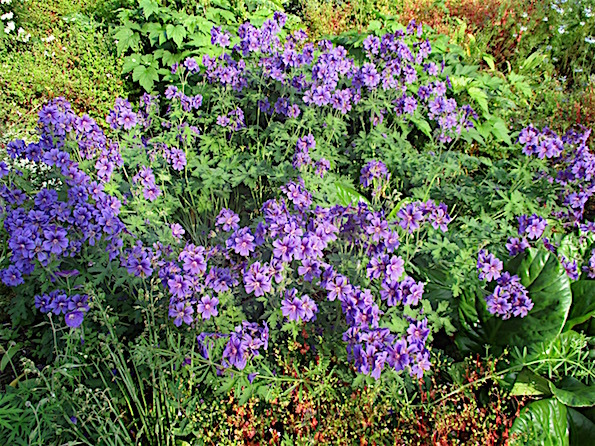 My gardening philosophy is built round the principles that after first eliminating perennial weeds you give frequent attention to weeds from seed and use dense planting to keep the soil weed free. Of necessity my method of weed control when I left the village eighteen years ago was to be monthly glyphosate spraying. Not nearly enough but my modified approach of generous clumps of dense planting, surrounded by gaps and trails of more open spaces worked very well. Sometimes if I lapsed after five weeks or so, weeds from seed became rather intrusive and unfortunately when sprayed looked rather scruffy. Imagine how overgrown it gets after two months. Traditional weed control then becomes a nightmare. I am told the team spent two solid days preparing for my recall! They should not have worried. 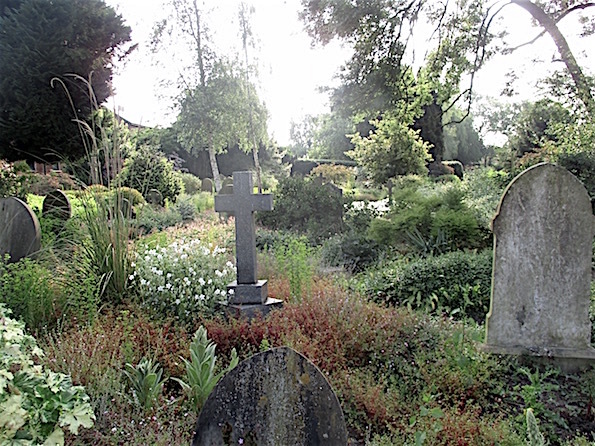 It took only forty five minutes of knapsack spraying to spray all the weeds in this section of the graveyard. Readers might be interested in my methods in detail and why they are speedy. It had been my intention to write short notes about glyphosate spraying at the end of this post but have now decided it more appropriate to post a dedicated article tomorrow. This corner until last year was under the heavy shade and drought created by a thirty five year old Leyland cypress which for my sins I had planted myself. 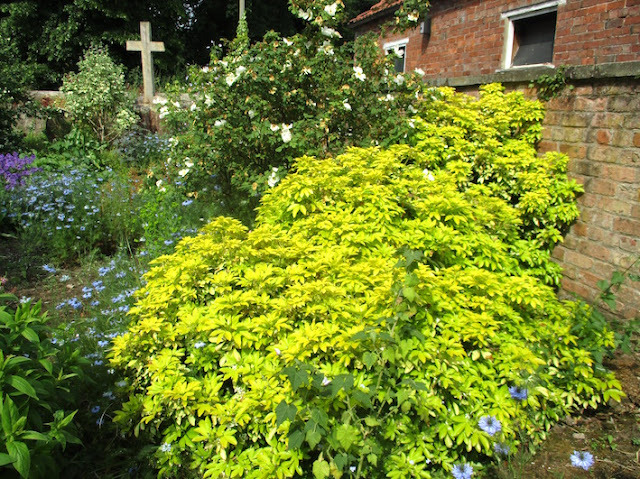 Choisya ternata 'Sundance' is one of my favourite structural plants which offers evergreen scented yellow foliage and stunningly scented white orange-blossom flowers in July. Rosa 'Nevada' held back by shade for years has had a new lease of life. 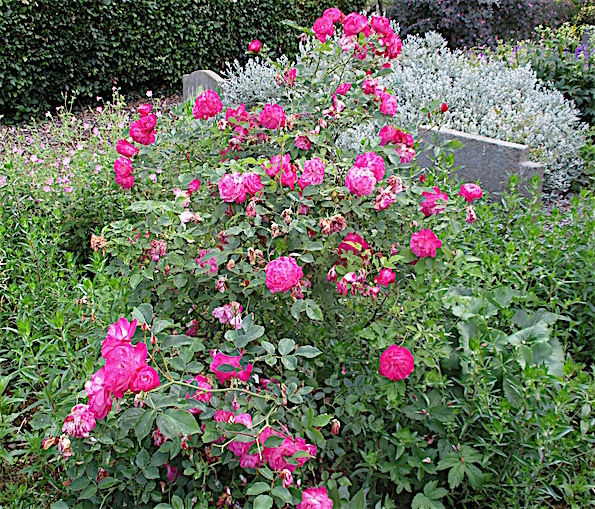 Former colleague A.J.Thompson once gave me a cutting of this beautiful scented rose. I do not know its name. Although the equisetum was not the regular thug I think my method would kill that too. Numerous references to Bolton Percy cemetery garden are to be found in the theme column. 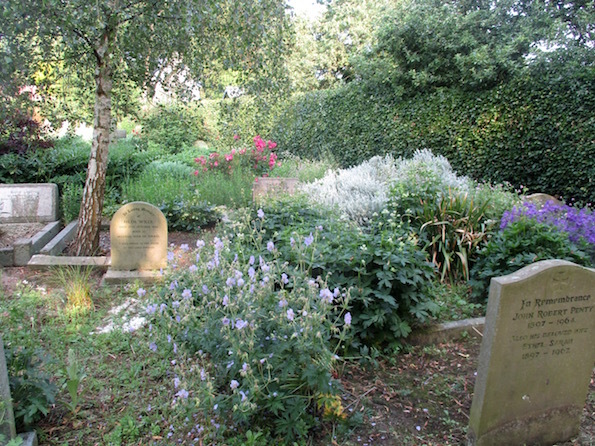 Also to the Worsbrough cemetery from which now I have really retired. Are nettles really taking over our roadside verges? And what we can do about it? 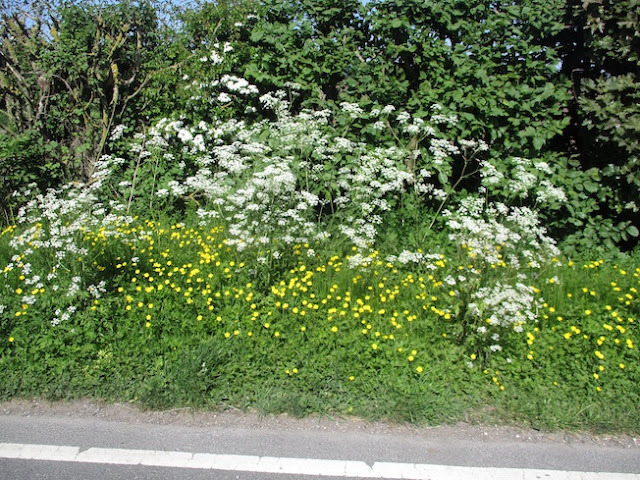 A scientist has proposed that excess plant nutrient nitrogen is released by car exhausts and its build up in roadside verges encourages coarse weeds such nettles, brambles and hogweed. The popular press has mangled this story and it is now received knowledge that this is a national crisis. Nettles have had a sudden image transformation from the darlings that ‘every garden should have them’ to being coarse monsters that outgrow the wild flowers. I suggest that we should concentrate on car exhausts because they might be killing us all and not to worry too much about the nettles. I am sorry to return so soon to the confusion between weeds and wildflowers and that frequently they are one and the same. Only in my last post I marvelled at how dandelions and buttercups had returned to roadside verges since we desisted from herbicide spraying. The new opinion is that this transformation might be not be so desirable and invading coarse weeds such as dandelions are a bad thing. Or have I got it wrong and dandelions and buttercups are good and only nettles and hogweed are bad? Dare I suggest that any so called weed is alright as long it is in the right place. Pain at first. 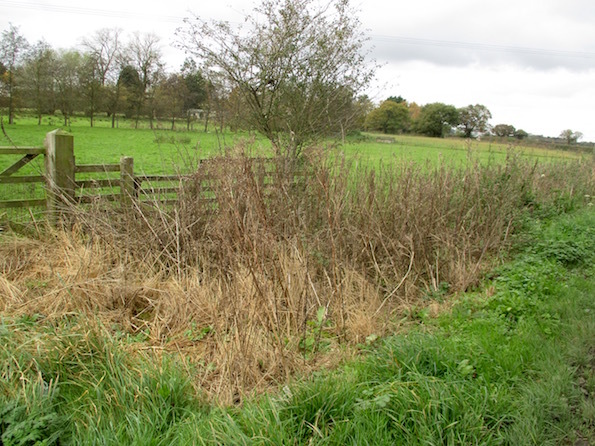 I have sprayed a three metre length of verge to kill brambles, nettles, ragwort and couch. 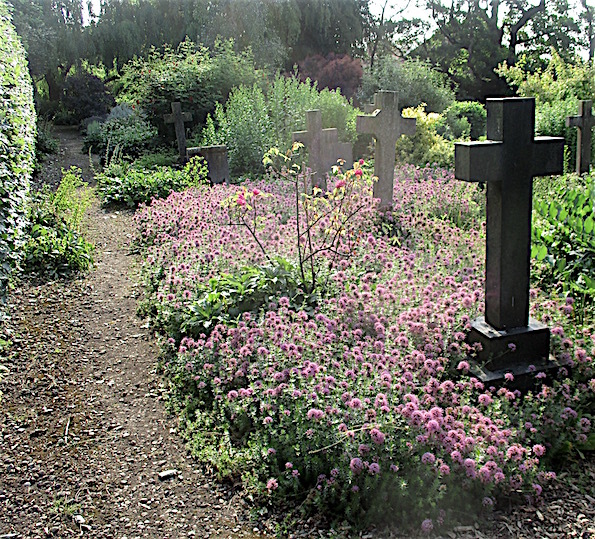 I will encourage fine grass, buttercups and dandelions to replace them. No one explains that any coarse weed problem has in truth arisen with the reduction of spraying and even less likely that you will be told that intelligent directed spraying might be the remedy. It might surprise you I do not advocate this! I became alerted to this perceived problem when half listening to John Humphreys as I invariably do when writing my blog. As so often with scientists (and gardeners) he was not the rottweiller he is with dissembling politicians but was in his pussycat mode. He can be a mixture of amused confused condescension and fawning acceptance of a scientist’s crackpot ideas (and especially so if nonsense is uttered by some high profile media gardener). In this case the news item had already been garbled by the newspapers and the scientist himself when he brought the problem of nitrogen run off from farm fields into the equation. It is fashionable these days to create infertility by removing vegetation to make gardens and landscapes amenable to wild flowers. I have no difficulty with this and admire wonderful wildflower meadows that have been so created. It still however goes against the grain for me personally when all my instincts are to create healthy soil as a result of sound soil management. I see everywhere gardener’s zealously making a nitrogen rich store of goodness by way of making garden compost and delighting in how it makes plants healthily grow. To me it is good for mankind that soil can retain its organic fertility and nutrient store for quite a long time. It’s not even that fertile soil as such is bad for wildflowers. It's just that the nettles grow so much better and smother them. I believe that there is potential for gardening methods that will grow wildflowers without denuding the soil. Old gardeners would tell you that overgrown allotments with luxuriant nettles might be hard work at first but have wonderful potential. Let us not solely ‘blame’ nitrogen for long lasting soil fertility. Indeed the very different problem of nitrogen pollution arises from the high solubility of nitrate when it washes away. The most long lasting soil nutrient is phosphate which in many soils after two hundred years of farming with fertiliser is too high. Major nutrients such as potash have varying soil retention depending for example whether it is sandy or clay. 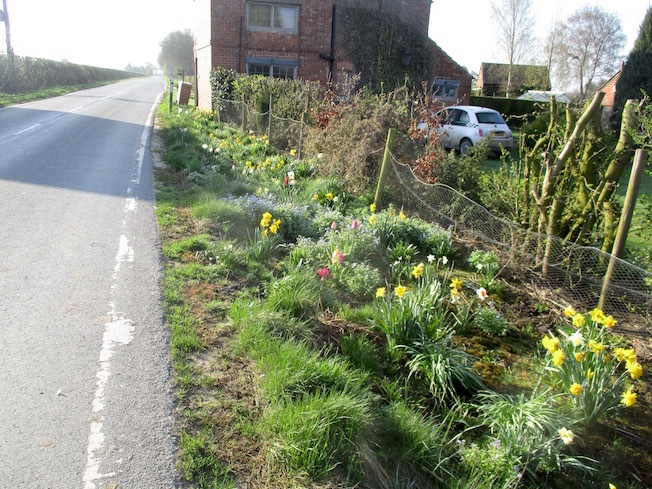 Do we have a problem on roadside verges? I don’t doubt that car exhausts might be a source of extra nitrogen. I do doubt that it is sufficient to matter in other than areas of very dense heavy traffic. I did notice on my recent trip to Liverpool that they had plenty of examples of nettle rich verges. Very much less so along the M62 motorway where in places coarse colourful vegetation such as dog daisies, buttercups, campions, umbellifers and a little earlier in the season dandelions, were lovely. Central motorway edges were somewhat devoid of vegetation other than grass. I would suggest that most of the landscape reflected levels of management - mainly mowing - rather than exhaust pollution. The trees lining the M62 on that recent Spring day were strong and verdant. Nitrogen is essential for healthy plant growth and motorways are generally constructed with spoil rather than soil. Perhaps a little extra nitrogen has been a good thing? Do any extra nutrients alongside roads come from agriculture and elsewhere? Some surely must where ground is higher and soluble nitrates leach and phosphate rich soil erodes down. Leaves from trees blow and alight and even create organic rich pockets. In terms of plant growth the diverse habitats created might be a good thing. Salting of roads has certainly favoured salt loving wildflowers to spread from the seaside. It was when the mad scientist (I might yet eat these words) suggested ‘solutions’ to his perceived problem. He fell back on the idea of removing fertility on roadsides by mowing and carting vegetation away. How much would that cost? How much extra carbon dioxide would be created with extra machinery and transport. What on earth might we do with that extra vegetation. Our amateur composts might become even greater rubbish than now. What about the extra roadside pollution created? It’s alright to want delicate wild flowers to grow in favoured roadside habitats. It is wonderful to delight in rare plants alongside country roads and in serendipitous habitats accidentally arisen. Let real local native vegetation thrive in the verges and hedgerows and let us do what we can to conserve it. 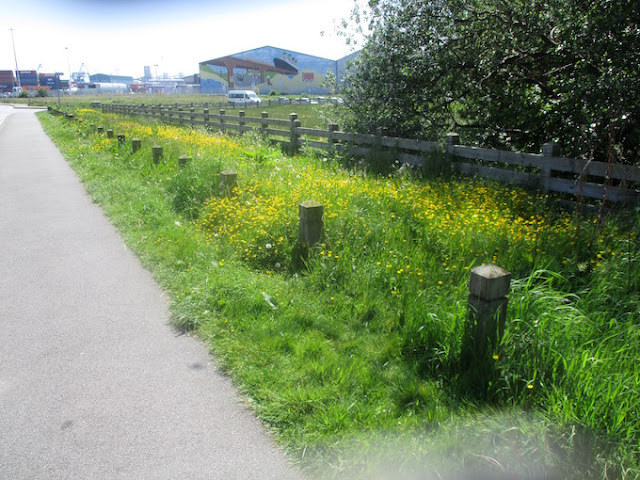 But don’t expect to achieve tracts of of feeble yet lovely wild vegetation along busy roads. I do not believe that the way forward is to reduce general roadside fertility. We need strong growing stabilising vegetation and all the better that the buttercups are beautiful. I have written extensively about Cathi’s grass verge which borders our country road that carries perhaps 200 lorries a day that fly by. Their trajectory veers when they meet oncoming traffic. 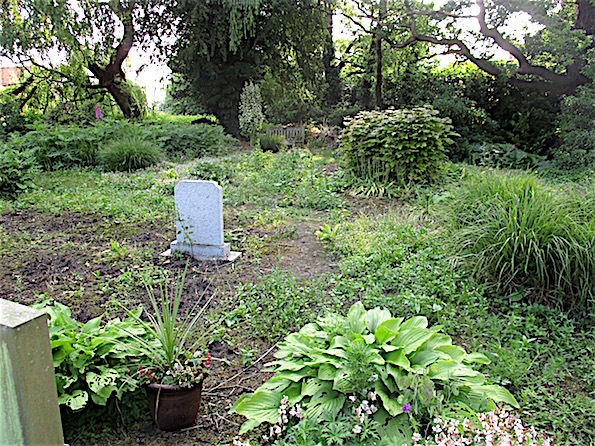 I am grateful to coarse grass, silverweed and buttercups for constantly growing back where the edges erode. But it is damned as a weed! 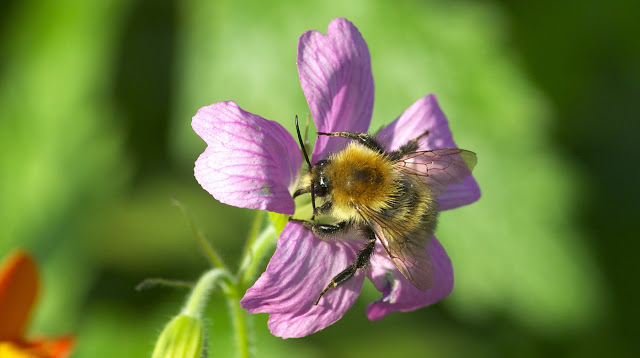 In my recent post about the excellent new book from the Bumblebee Trust they repeated the mantra about not using insecticides and herbicides in your garden if you want to encourage bumblebees. I have no problem with the damning of insecticides in this context. 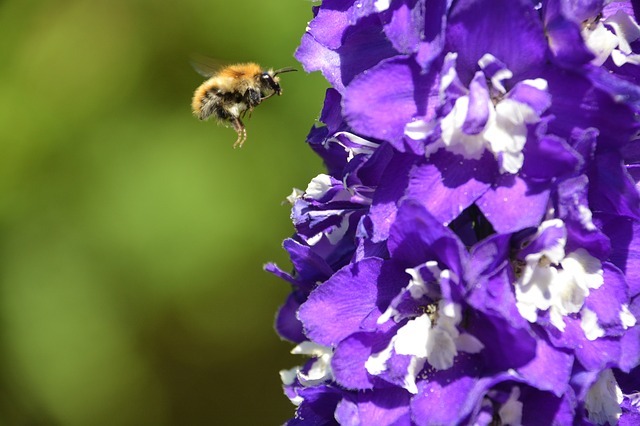 After all insecticides are designed to kill insects and their indiscriminate and ignorant use can be a disaster for bees. In my own gardening I only rarely use insecticides. Only twice in the last 12 months and that was on house plants! This is not the public image of these useful gardening aids. Indeed the word ‘weedkiller’ is almost synonymous with ‘poison’. Only exceeded by ‘ratkiller’. The latter is particularly ironic as the principal ingredient of most common rat and mouse killers is the warfarin of medical use. 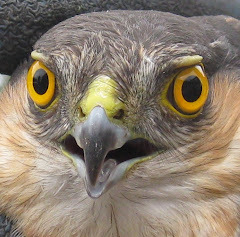 The ignorant are frequently surprised that my glyphosate managed gardens are so rich in wildlife. The even more ignorant expect my gardens to be sterile. I claim without blushing that my gardens are ecological richer than most. Undoubtably weedkiller in the wrong hands can do considerable harm. How much ecologically richer are our roadside verges and hedgerows since they are no longer sprayed. 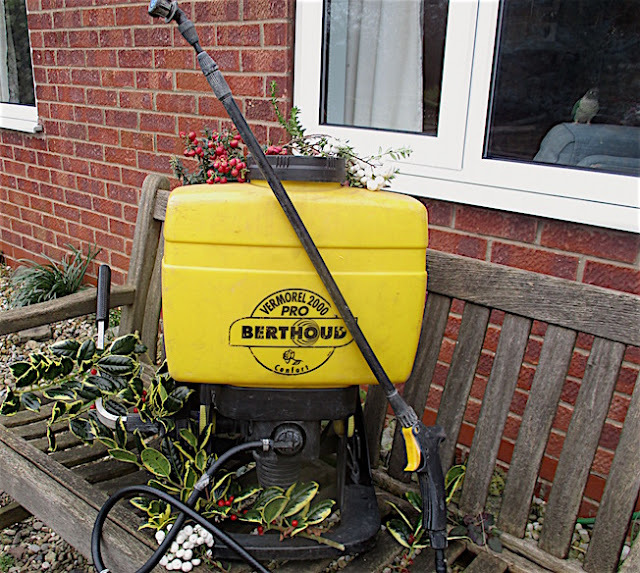 In contrast sensitive use of weedkillers can be used to create beautiful landscapes of flowers as I do. Almost any gardening or agricultural practice can be maliciously and harmfully used. How innocuous are agricultural drains but they can be used to destroy wetlands. The chain saw is a useful tool but look what it has done. There is good and bad in ploughing, digging and most soil cultivations. Even the mower is regularly destructively used. Yesterday (May 10) we drove over the wolds to Filey and marvelled at the beautiful nectar rich dandelions at the roadside. On the way back we passed council workers mowing them down. In the public mind weedkillers are toxic - literally so. I deny this. The world has gone mad when it seeks to outlaw ‘roundup’ the safest pesticide ever invented. Simple things reinforce public misinformation. For example that wretched lovely toxic weed ragwort. Farmers fear it because when dead it is highly palatable yet deadly. When for this reason the uninformed read that animals need to be kept out of sprayed fields they deduce that the same MCPA, 24D and similar, will poison pets on their lawns. 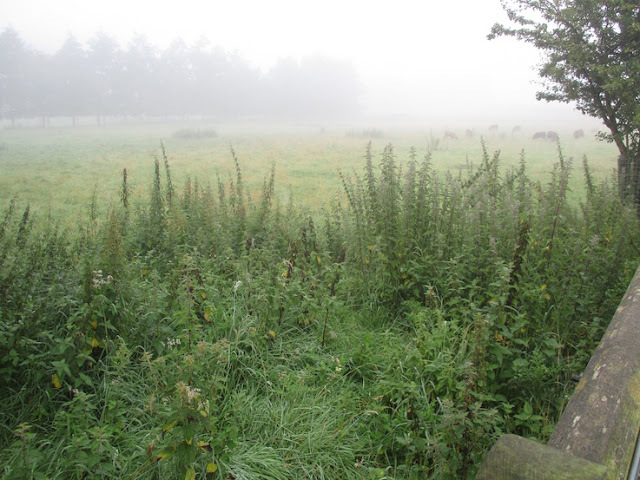 As an aside I might mention that I recently posted about spraying out nettles in Cathi’s field. 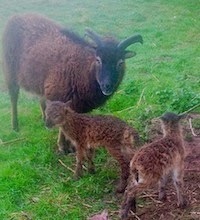 When the nettles went yellow and died her soay sheep devoured them with great gusto. I understand nettles are very nutritious. The sad thing about roundup is that it is damned for what it is meant to do - kill weeds. It does what ‘it says on the tin’ and does it superbly. With this comes all of the advantages of minimum cultivation, maintenance of soil fertility, organic matter and worms. Worldwide million of tons of carbon stay in the ground as a result of the enlightened soil management it enables. Writing these words set be thinking as to how many real agricultural and garden weeds actually produce copious nectar and/or pollen. 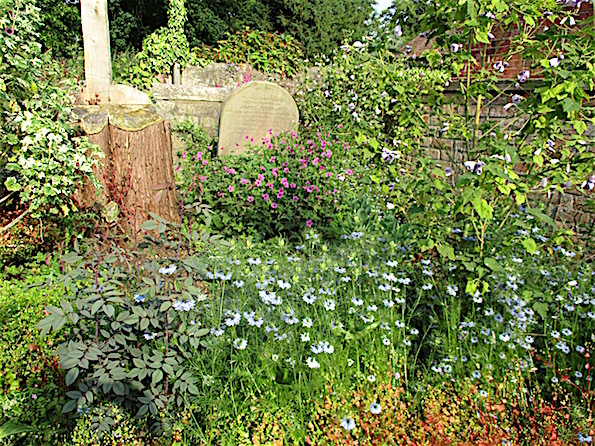 If anything is to justify weeds displacing crops, genuine wild flowers and pollen rich garden plants it would be useful to know. Of course if something is desirable it is not a weed by definition! Perhaps you should consider growing these sugary morsels? Dandelions. If these were difficult to grow everyone would want them! Although most dandelions set seed vegetatively without fertilisation they do produce generous nectar and are much visited by bees. They are very easy to grow. Himalayan balsam. Banned in the countryside it produces so much honey that it is for obvious reasons affectionately known by countrymen as the bee bum plant. (Its head is down slurping the flowers). Extraordinarily beautiful it will take over your garden. Brambles. I grow a wonderful seedless blackberry. One plant satisfies all our culinary needs. 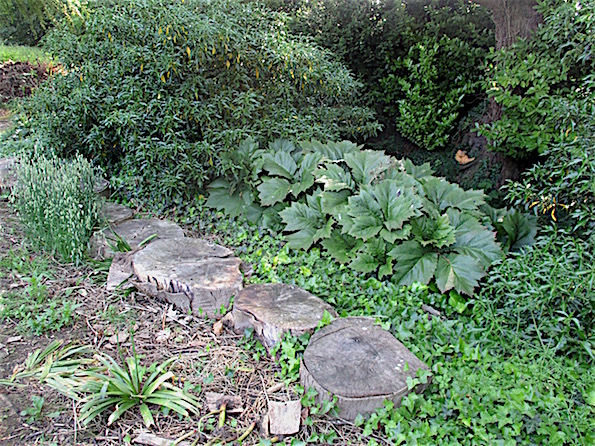 Why not go the whole hog and do nothing and in five years your garden will be five foot high brambles - in my view Britain’s worst weed but good for the bees. 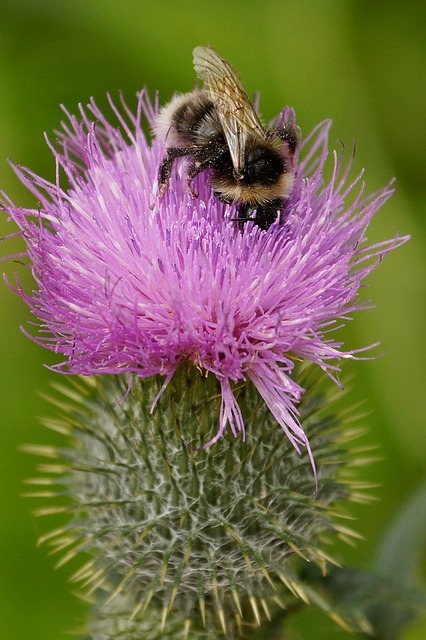 I see it now, if you want to encourage bees don’t use weedkiller and grow weeds!